Baby M’s updated baby pics! 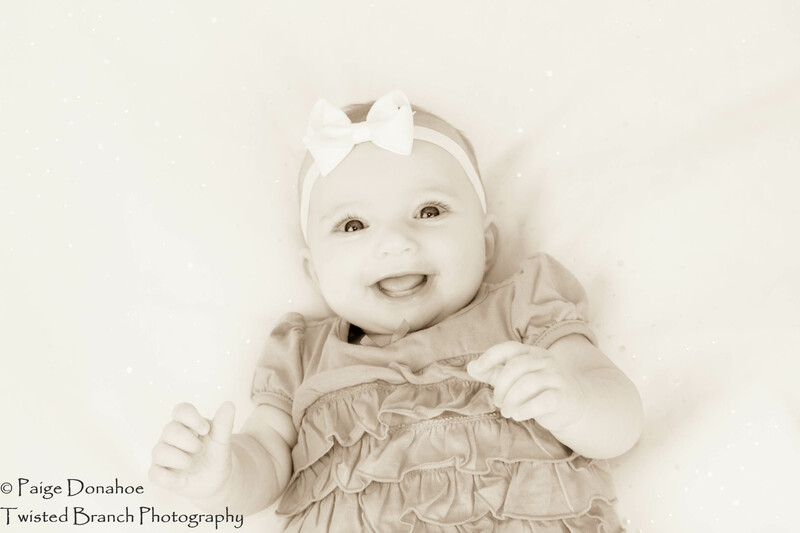 I had the opportunity to recently to go to Baby M’s house and take her 4 month old pics. I was there for her newborn pics – they can be seen here. This shot was so fantastic. We simply tried placing her on her tummy to see how she would do – and check this out! Here she is on her tummy! 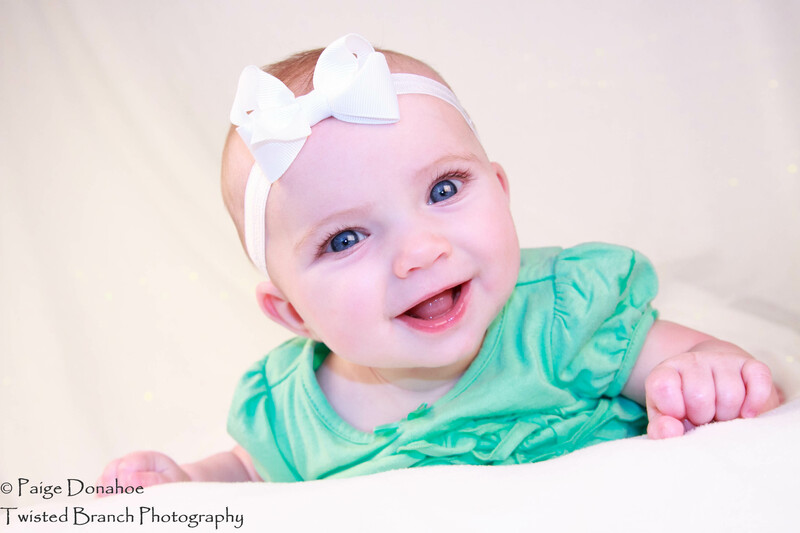 Here is another – She may be a ham – but I will take it…she, at 4 months old, has a great personality and the camera loves her! How does this pose work Miss Paige? I love this one too. I played with the one picture to see how I liked it. I did some of the more traditional colors and then tried some dramatic ones as well. I think baby photos should be more soft and delicate but sometimes the dramatic look can be neat as well. 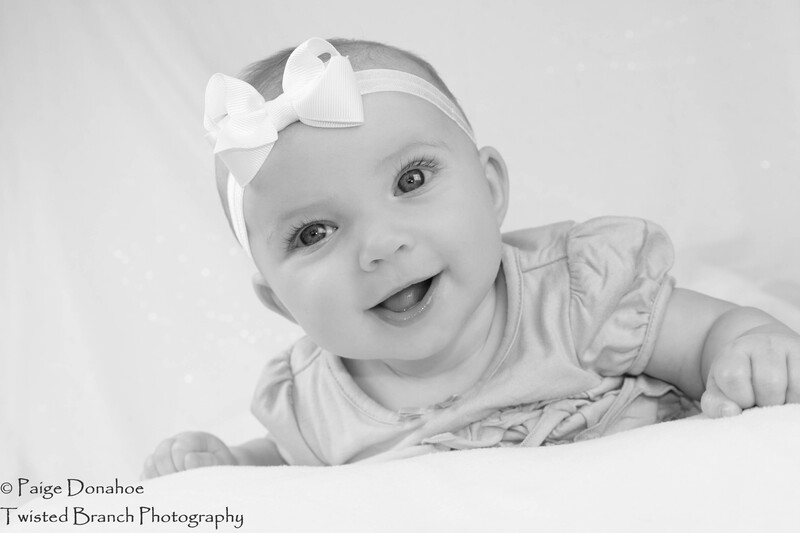 Here is Baby M…with a little different look. 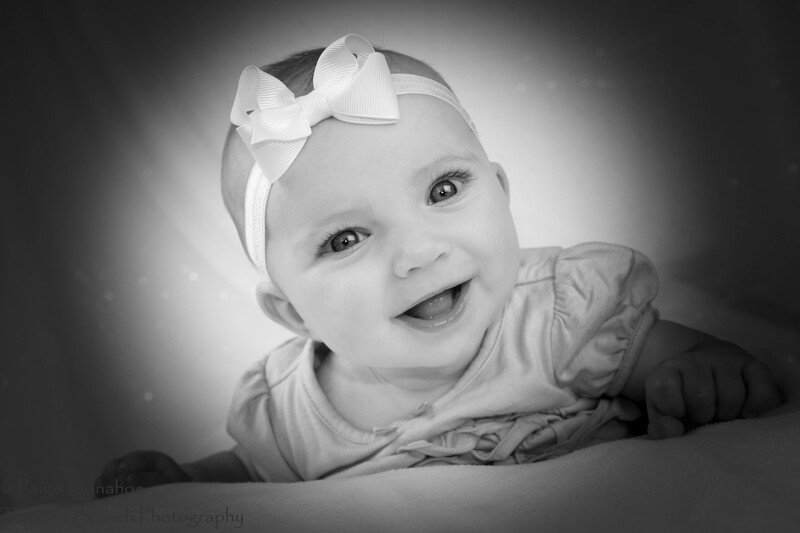 This is just a taste – the full gallery of her baby photos is up on my website located here. Baby T Newborn Photos Preview Little Baby T was welcomed to the world a few short weeks ago and I had the privilege of taking his newborn photos when he was just 4 days old. Here is a preview of his session. 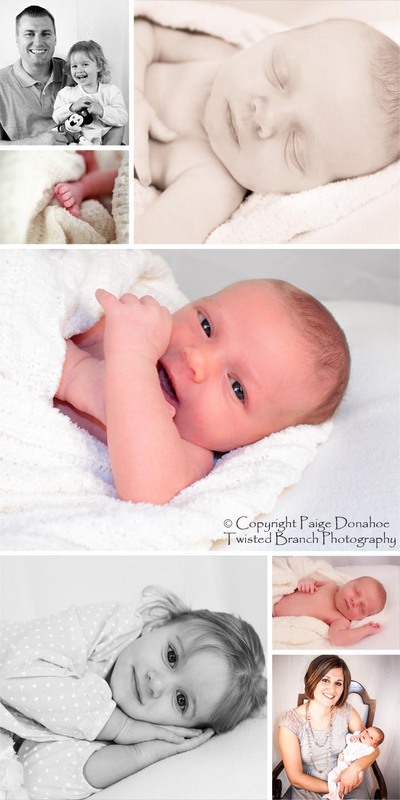 Newborn Photo sessions are that time when you get your pictures taken of your brand new little person. They are small, new, and are just getting used to the world. 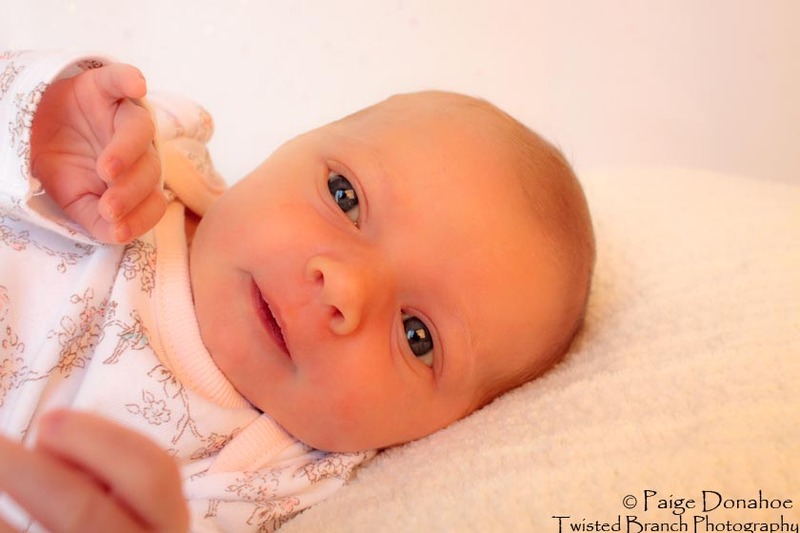 I got the chance to take this little baby’s newborn pictures when she was two weeks old. We had a lot planned for our session that day. 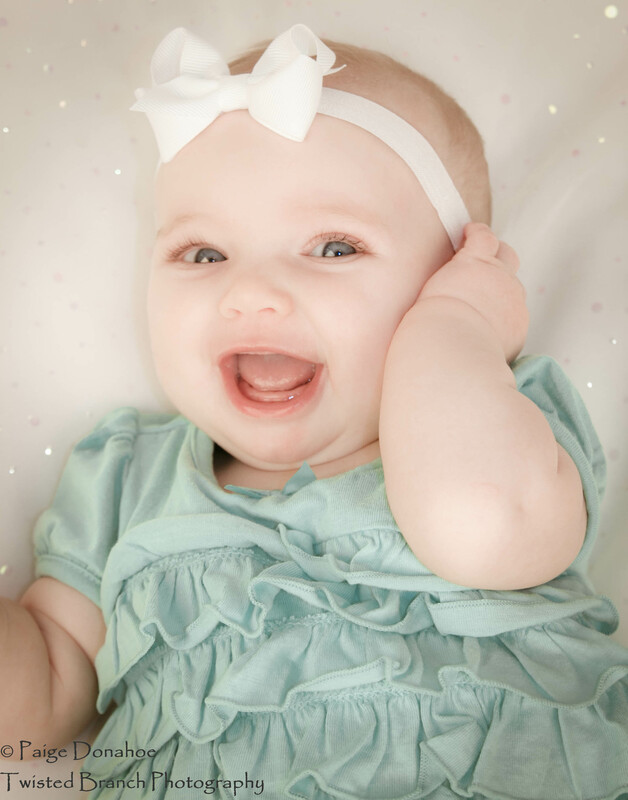 Baby pictures by herself, pictures with her sister and family and booked out plenty of time to accomplish all this ….or so I thought. This baby had different plans! So here is a little peak at what we accomplished – we worked hard to get these and I hope the family enjoys them 🙂 I got a lot of great pictures of her sister, who was my adorable little assistant and loved to help me with taking my pictures, setting up the lights and playing with the toys. She was a good big sister. 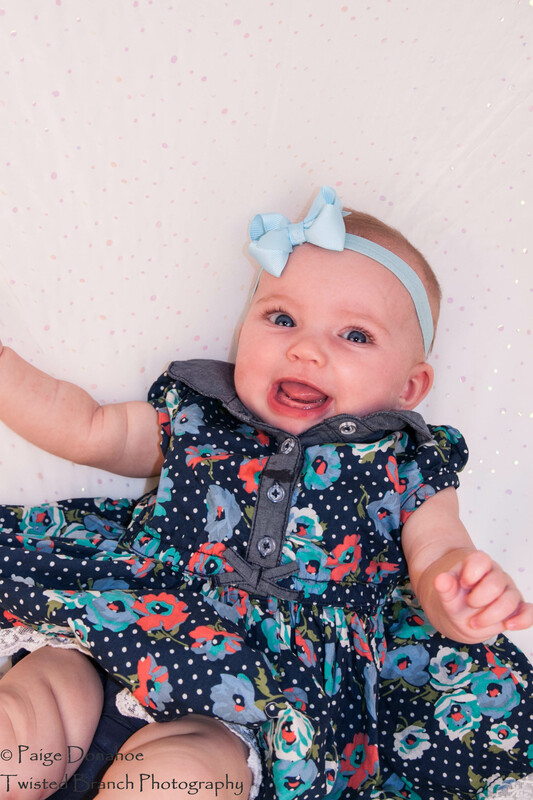 Taking baby pictures is a tough and rewarding job, but ultimately – these little people are only this age once and I feel compelled to get the best newborn photos I can! Crazy personalities offer the best pictures! © Paige Donahoe and Twisted Branch Photography, 2013. Unauthorized use and/or duplication of this material without express and written permission from this blog’s author and/or owner is strictly prohibited. Excerpts and links may be used, provided that full and clear credit is given to Paige Donahoe and Twisted Branch Photography with appropriate and specific direction to the original content. Corona, Ca based portrait and wedding photographer. 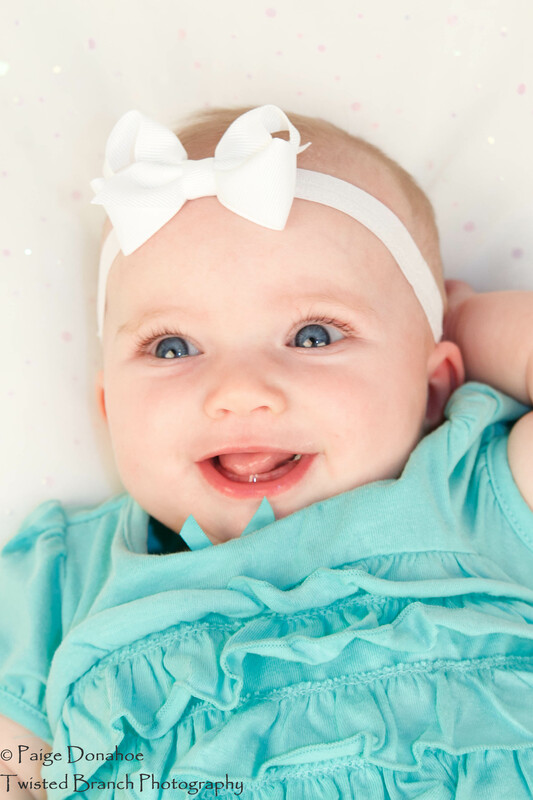 Specializing in families, newborns, weddings, events and more.